What Should Be in Your Web Design Contract? If you are a web designer, copywriter, or graphic designer, you should absolutely use contracts to protect yourself and your work. However, many designers and writers are reluctant to use contracts. This reluctance is based in part on a desire to keep things simple and straightforward. As admirable as that impulse is, it only takes one disastrous project to realize how easy it is for a designer or writer to get screwed. Even good client relationships can suddenly rupture. A simple contract is essential and it brings clarity to the process for both you and your clients. 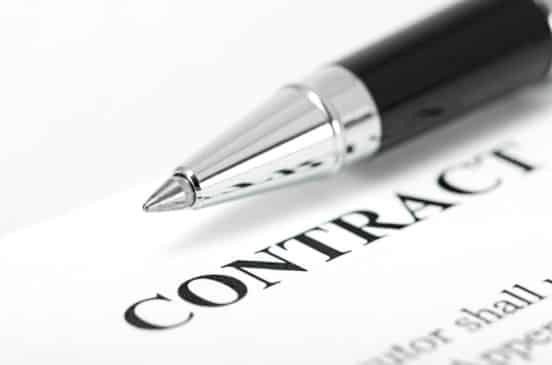 The first thing to include in a contract is a) a summary of the services you provide and b) the expectations that the client must fulfill. Services – The more detail you provide in this section the better. It also helps explain to the client what they are getting as a value proposition. Your services should never simply say “web design.” Instead, break down the work into component parts. Explaining the work you have to do in order to build a website educates the client and helps clarify expectations. Client responsibilities – Almost every designer or writer has had the experience of a client not offering timely feedback, access to key information, intellectual property, or answering your questions. That’s why you should always include a stipulation about what you need from the client. Some things that are important include materials (if they agreed to supply them); photographs, logos and other intellectual property; key access information like FTP or WordPress logins, information about their current web hosting, and even access to social media accounts; and information about web copy. This last issue is sometimes confusing for clients. When they say “build me a website” they may think you will write the copy. Always clarify this up front. Let the client know there is an additional charge for writing and uploading content, or that you will hire a subcontractor. There are many ways to get paid. Some people prefer to bill hourly, whereas others charge on a per-piece or per-project basis. No matter how you bill, it’s important for you to insist on at least a partial payment, deposit or retainer. This protects you from pouring time and energy into a project only for the client to walk away without paying. For shorter projects, simply get the flat fee up front, before completing the work. If the contract does not work out, you can then offer a partial refund. However, if it’s a bigger project, always make sure you get paid in stages. How does this work? First, ask for a deposit such as 50 percent of the total price. Second, provide for payment of the next 25 percent once the client has reviewed the design. Finally, provide for 25 percent payment upon delivery of the final site. There are many other ways to construct deals, so get comfortable thinking about how it works well for both you and the client. On some projects you will incur costs. Don’t ever eat the cost of things like web hosting, purchasing images or fonts, etc. Make sure you state up front that the client is responsible for costs and keep them apprised of the costs on an ongoing basis. If a client has never had a website before, be sure to talk to them about hosting fees. Who owns the layout or theme? If it’s a theme you designed, you want to make sure you can use it again for future projects. Did you do custom coding to develop the site? Again, protect your right to use things you develop. What about the web design? Decide up front if you want to reserve the right to use it again, or if the design itself becomes the client’s property. CMS systems, web copy, design work (like ads and banners) should also be considered.